A Lord Puttnam inspired film - 'We Are The People We've Been Waiting For' - has been released through today's Guardian newspaper and reveals a very inconvenient truth about the UK's education system. 'We Are The People...', directed by Daryl Goodrich and produced by Caroline Rowland is based on an idea by Lord Puttnam, examines the potential for a radical transformation of the way young people learn. It follows the lives of five Swindon-based teenagers and the challenges they face during their education. It reveals the dislocation between our education system and the rapidly changing, globalised world which is increasingly dominated by digital technology, and focuses on the need for fundamental change in teaching and learning. Following the Premiere on Tuesday 17th November, the film is available free in the Guardian today (Saturday 28th November) and can also now be requested free online at anytime via www.wearethepeoplemovie.com. The film features a host of influential personalities who share their personal experience and opinion on the education system. Contributors include Sir Ken Robinson, Bill Bryson, Sir Richard Branson, Henry Winkler, Dame Ruth Silver and Germaine Greer. Lord Puttnam said: "I've no doubt that 'We Are The People We've Been Waiting For' has the potential to be a powerful catalyst for overdue educational reform. We need to provide all of our young people with an education that motivates them to learn, and enables them to discover what they are good at. 'We Are The People We've Been Waiting For' is intended to act as nothing less than a wake-up call." By exploring some of the more innovative approaches to education around the world, the film offers a glimpse of the future. It shows how much more flexible, exciting and engaging learning could be for young people - and how our education system could support them in identifying and making the most of their individual talents. 'We Are The People We've Been Waiting For' is a full-length feature film on education which was inspired and guided by Oscar-winning producer Lord Puttnam. The film is supported by various organisations including independent education foundation, Edge. 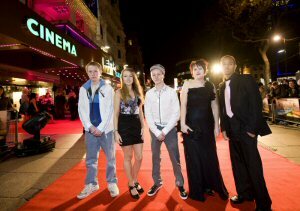 The film follows the experiences of five Swindon-based teenagers. What unfolds during the course of the film is a very inconvenient truth about education. It concludes that, while there are 'signs of spring', a transformation of the education system is vital if the UK is to continue to compete effectively in an era of globalization - the world has changed enormously but our education system has not kept pace. We need to recognise that there are many paths to success for young people - and provide the right support and opportunities for them to develop their individual talents.